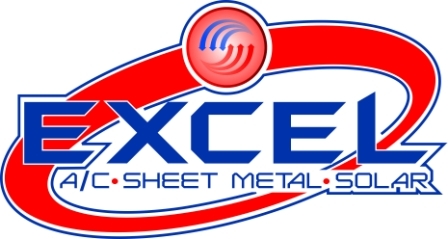 Excel Sheet Metal & A/C has been in the business for over 20 years and we’ve been lucky enough to learn a thing or two over those years. We’ve even worked hard to make sure that our staff knows the most up-to-date information about all of your heating and cooling needs. Keeping you cool and warm is our goal! Adjust the thermostat, if you have central air use a programmable thermostat to save energy by increasing the temperature during the day when the house is empty. When home aim to set the temperature at 78 degrees to balance comfort and energy savings, together with winter energy savings and a programmable thermostat used properly can save the average home up to $150. Clean the air filter, Weather you have central air or a room air conditioner, a dirty air filter will reduce its efficiency making it use more energy to do the same job. Check your air filter monthly and expect to change the filter every 3 months. Get a check up, having your air conditioning and heating checked once a year by a professional that can diagnose any inefficiencies before you have wasted money on monthly heating and cooling bills. Our staff have worked with everything that’s out there. So, rest assured that we have the knowledge to service even the toughest units.